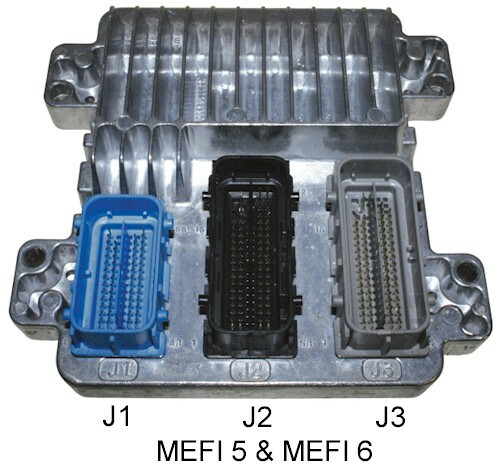 The MEFI 1-4 family of controllers all use the same ECM connectors for J1 and J2, even though the style of the ECM package is different for the MEFI1 and MEFI2 vs the MEFI3 and MEFI4. 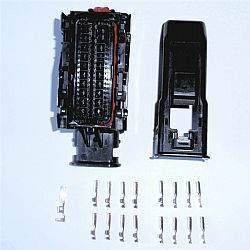 The connectors look similar, and are the same except for a keying part which assures that the connectors are not plugged into the wring place on the controller. 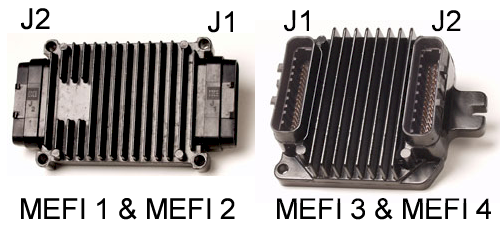 The diagrams below show the J1 and J2 designaltion for the two types of MEFI packaging. On the controller itelf, the connector locations are labelled by some raised lettering on the body of the connector, but we have illistrated these clearly below. 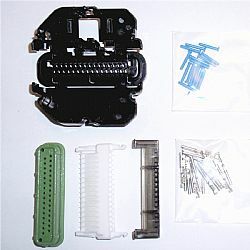 Both connector sets come with all the pomponents needed to assemble the connecotr, including crimp sockets and hole plugs. Additional sockets and hole plugs are available for order. 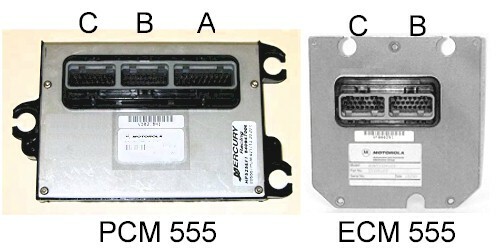 The MEFI5,6 and E67 controllers from GM all have the same connector layout. There are three connectors on the face of the controller. 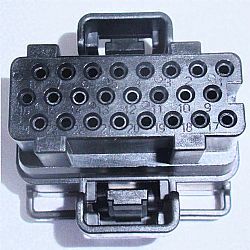 The connector names are embossed into the metal housing of the controller but the diagram below shows clearly which connector is which. 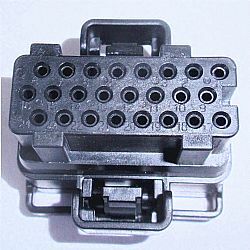 J3 - This connector is much like J2 except the body of the connector is gray in color and has a different keying than the J2 connector, peventing the two from being inadvertantly swapped. 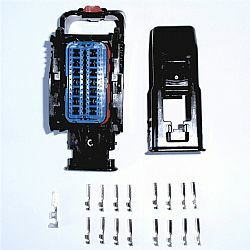 The connectors come as a complete kit including 16 crimp sockets and in the case of J2 and J3 a Yakagi crimp socket. Additional crimp sockets and Yakagi sockets are available for order. 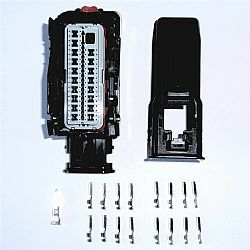 The Motorola family of engine controllers comes in two configurations, one with a pair of 24 pin connectors and one with a pair of 24 pin connectors plus a 32 pin connector (pictured below). 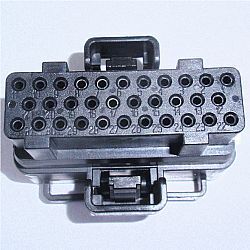 The two 24-pin connectors on the ECM 555 are the same keying as the two 24-pin connectors on the PCM 555. 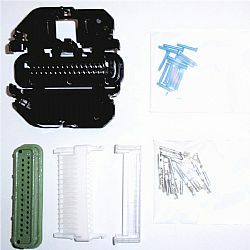 The crimp sockets are available in bags of 10 sockets each, and do not come with the cpnnector shell, so when ordering, be sure to add in the crimp sockets as well.